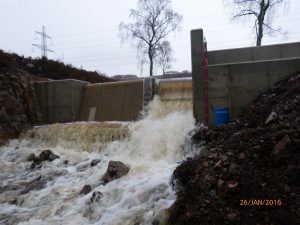 In 2008 we completed a feasibility study into the hydro potential of the estate. It took many years of to complete all the required environmental, building and planning regulations, but we finally got Planning Permission in 2013. 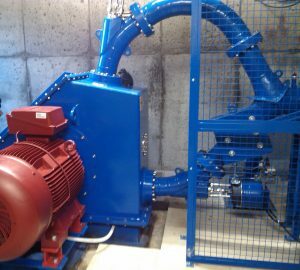 A further 2 years were needed for the detailed plans and construction work, but finally in January 2016 we switched on our hydro scheme and started to generate Hydro Electricity. Since then we have experienced two years with below average rainfall, but the scheme has been running successfully throughout the period and we have achieved our projected generation targets. We are still waiting to see what we could achieve if we had a year with average or above average rainfall! 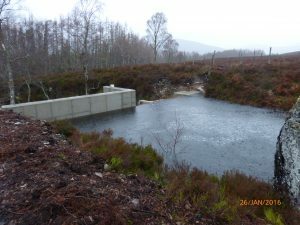 For the technically minded the scheme has an intake dam on the Allt Currachan Burn (the one you cross entering the village). From there a 300mm ‘penstock’ (pipeline) runs for 1km to the power house with a fall of just over 100m. Inside the turbine house the water is fed, by two nozzles to a Pelton turbine which is connected to a 90kW generator. All the output is fed into the national grid.